Whether you’re Grid-tied or Off-grid, Trans Marine Pro has everything you need to power your home or office, whilst reducing your carbon footprint and saving money. Using the natural resources of wind and solar power is a great way to reduce or eliminate your power bills altogether. With top quality renewable energy equipment available to buy online, expert advice and professional installation, Trans Marine Pro is your one-stop-shop for smarter green energy systems. Get more power and better efficiency from your clean, green, renewable energy systems with Trans Marine Pro. Trans Marine is run by Cameron Murray, who lives on his boat “Tranquility” based in the Bay of Islands, New Zealand. 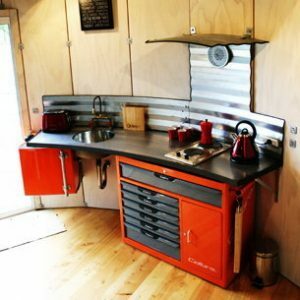 Living onboard full time he has spent a lot of time, energy and expense on outfitting Tranquility with Renewable Energy Products he knows and trusts. The renewable energy resources onboard conserve fuel, extend battery life and allow us to live at anchor comfortably. Growing up with the values of being a part of nature and enjoying what the earth has to offer us has inspired Cameron to help sustain the planet for future generations. Whether you’re Grid-tied or Off-grid, Trans Marine Pro has everything you need to power your home or office, whilst reducing your carbon footprint and saving money. Using the natural resources of wind and solar power is a great way to reduce or eliminate your power bills altogether. With top quality renewable energy equipment available to buy online, expert advice and professional installation, Trans Marine Pro is your one-stop-shop for smarter green energy systems. Get more power and better efficiency from your clean, green, renewable energy systems with Trans Marine Pro. 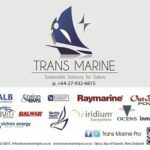 Trans Marine is run by Cameron Murray, who lives on his boat “Tranquility” based in the Bay of Islands, New Zealand. Living onboard full time he has spent a lot of time, energy and expense on outfitting Tranquility with Renewable Energy Products he knows and trusts. The renewable energy resources onboard conserve fuel, extend battery life and allow us to live at anchor comfortably. Growing up with the values of being a part of nature and enjoying what the earth has to offer us has inspired Cameron to help sustain the planet for future generations.